It’s common for military families to own and rent out properties at former duty stations. Being a long-distance landlord can have a lot of benefits, especially if you are using the right property management company to handle many responsibilities for you. However, when you don’t live near your property, it’s easy to lose track of the weather patterns and the severity of winter storms. Don’t get caught out in the cold with emergency repairs! Take the time now to do these preventative maintenance steps on your home. 1) Review your lease contract. 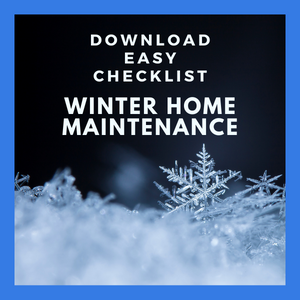 Before the winter season begins, know your responsibilities as stated in your rental agreement. If you are using a property management company, what maintenance tasks will they manage for you? Which tasks are the renter’s responsibility? If the renter is supposed to clean the gutters, then who will send a reminder and make sure the job is done? It’s important to review these questions before problems arise, so issues can be prevented. 2) Set up snow removal. In many areas of the country, snow removal is an expected winter activity. Determine ahead of time if your property manager will handle this, and if it will cost you extra fees. Be sure to set aside additional funds to cover snow expenses. And make sure the renter knows what to do or who to call if they are snowed in. 3) Clean gutters and downspouts. This annual activity is important for several reasons. First, clearing leaves and debris helps the gutters function properly, draining water away from your home’s foundation. Clearing them in late fall allows melting ice to drain away, so it doesn’t freeze and then drain into your home’s interior walls. Whether you hire a professional or ask the tenant to do this, make sure it happens before winter storms. 4) Drain and remove window air conditioning units. If your home has window air conditioning units installed, they need to be removed or at least winterized. Drain water from hoses and drip pans. Then either cover the unit with a plastic cover to prevent rust or remove and store the unit. Removing the unit from the window will help prevent drafts and leaks. Before the weather turns cold, make sure the furnace is working properly. Replace the furnace filter and have the appliance professionally inspected. Some appliance companies offer free annual HVAC inspections. Even if you have to pay, the minimal cost is cheaper than an emergency repair in the dead of winter. Cold winter temperatures can mean burst pipes, which lead to expensive repairs. Prevent costly damage by insulating exposed pipes in cold basements. Hardware store sell pre-slit foam which can be cut to custom lengths and easily wrapped around pipes. 7) Inspect and clean chimneys and fireplaces. If your home has a working fireplace, make sure you and the tenant both understand the required fireplace maintenance before the season’s first use. Chimneys should be cleaned to prevent build-ups and fires. Flues should be closed when the fireplace is not in use. 8) Check trees and branches. If it's been a while since you've visited your property, you may not realize how many branches are now hanging over your house and the neighbor’s. Ice and snow can weigh down branches, making them more likely to fall on nearby cars and roofs. Property owners are responsible for any damage caused by the trees on their property. Save yourself the insurance nightmare by having trees trimmed and dangerous branches cut off. 9) Check windows for leaks. This is a good time to ask your tenants if they have any complaints about drafts and small maintenance problems. Consider caulking around gaps and adding weather stripping to doors. It will help lower your tenant’s energy bill, which not only keeps them happy, but makes your home more appealing to future tenants. 10) Paint decks with sealer. 11) Take care of roof repairs. If there have been any complaints about leaks, missing shingles, or damaged eaves, this is the time to complete repairs, before snowstorms create additional damage. Have your property manager or a professional assess the roof quality and check if the roof will bear snow. Remember that roofs need to be replaced approximately every 15 years, so set aside rental income every year to prepare for that eventual cost. 12) Look for tax credits. Some home upgrades like insulation, energy-efficient windows, and solar water heaters come with federal tax credits or incentives. 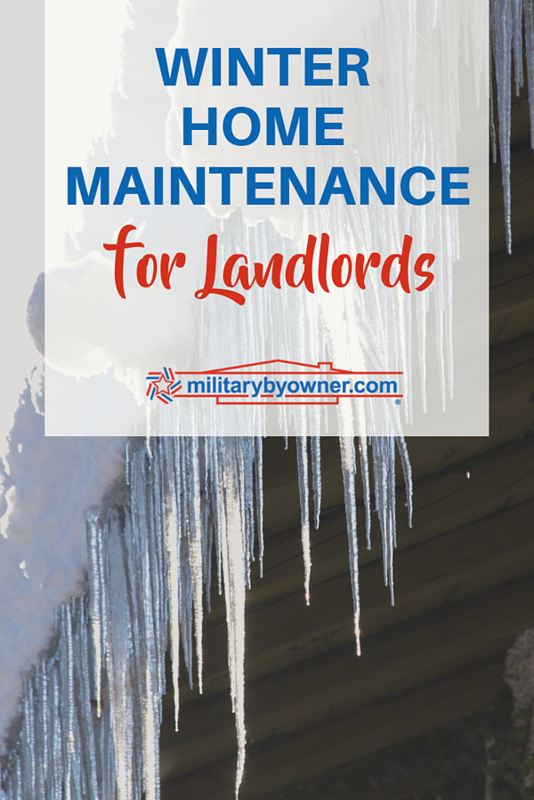 But as a landlord, many home repair costs are deducted from your rental income for the year. So investing in your home and taking care of regular maintenance can be tax-deductible the following year.